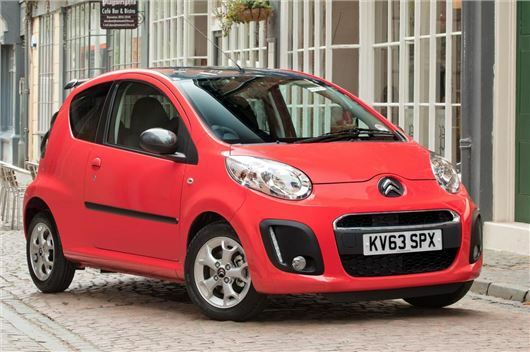 Citroen has revised the C1 range, which now encompasses three trim levels – VT, Edition and Platinum. Priced from the £8095 the VT model remains unchanged, however the outgoing VTR trim is now replaced with Edition trim. This includes leather steering wheel and gearknob coverings, air conditioning, electric windows and 14-inch alloy wheels, and is priced from £9670. The top trim level, previously VTR+, is now called Platinum. It comes with a ‘Look Pack’ as standard, which includes a grey roof covering, grey roof spoiler and grey wing mirrors. Standard equipment includes front fog lights, Bluetooth and USB connectivity. Prices for the Platinum start at £10,345 for the three door. All models in the range, regardless of trim level or body style, have emissions of 99g/km and official economy of 65.7mpg, with the exception of the ETG automatic, which has emissions of 104g/km and economy 62.8mpg. Order books for the updated C1 are open now.